Where can I download the PDCheck App? What measurements does the PDCheck give you? Does the PDCheck App support both Android and iOS smartphones? What are the minimum requirements to use the PDCheck App? Are you required to be an All Access Member to use the PDCheck App? Why is the PDCheck App asking me to change my zoom setting? Is the PDCheck App supported on laptops or tablets? 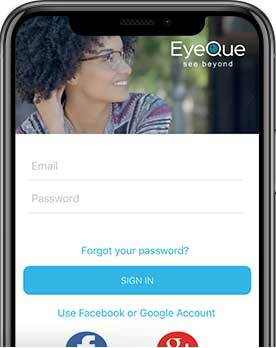 Can multiple users use the same EyeQue Account for the PDCheck? Can I use the pupillary distance measurement I obtain from the PDCheck with a VR headset? Does the PDCheck provide Computer Distance PD? In order to change the zoom on your device (for an iPhone 6 or higher), go into the device's settings and click on "Display & Brightness." On the bottom of your screen you will see "view" and the mode next to it. If you see "zoom" then your iPhone is currently in zoom mode. Tap on "zoom" and you'll be taken to a screen where you can change the display zoom setting. Tap on "Standard" then "Set" to change the settings for your iPhone. Once you have done this go back into the PDCheck app and the message will no longer appear. A zoomed display will not affect text size as that can be set within the general settings tab of the iPhone's settings. If you are still having issues after changing these settings, please contact EyeQue support (support@eyeque.com). I want to return my purchase to EyeQue; how do I do it? What do each of the values on the home screen of the PDCheck mean? 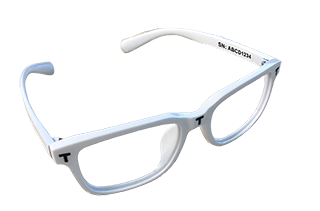 Why do I need the EyeQue PDCheck Frames to measure my PD?